MOST FUN AND ADDICTING DUCK GAME ON THE PLANET! 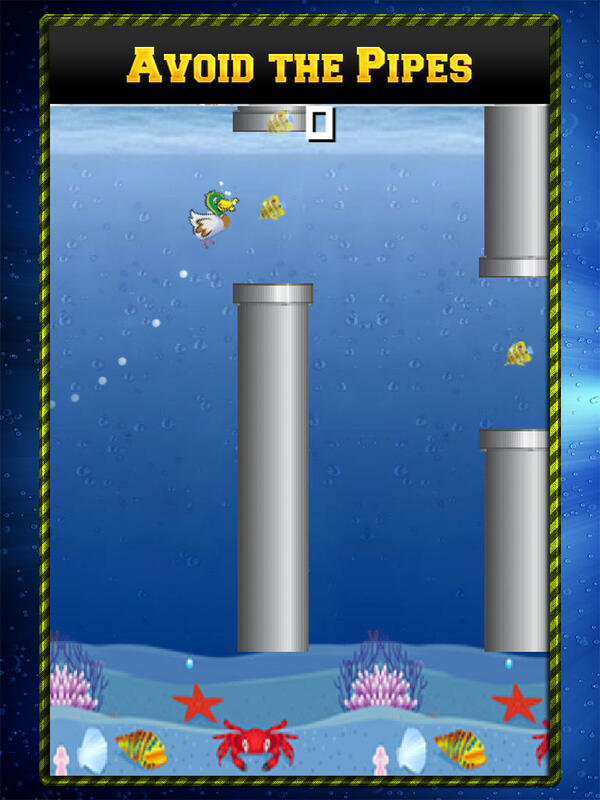 Dive your duck under the water collecting as many fish as possible with out touching the steel pipes. Just tap tap tap and make your duck dive. Be careful don't hit the obstacles under the water and collect as many fish as you can.